Warm, the sun is her sign, the Spanish tiles are her descent, the iron floral is her inner. 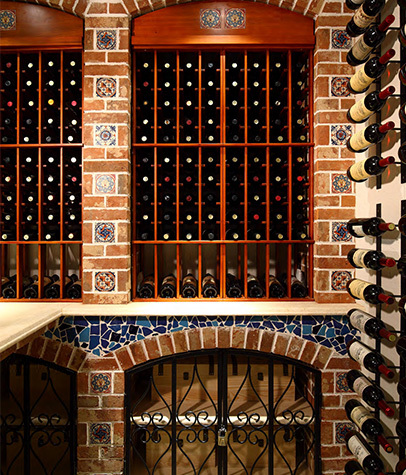 Style side of the general wine cellar of the series of plates, color samples. Vintage red brick stack of arcade bar, piled in the process of mosaic tiles. An arched wall hole, and some put a solid wood wine rack, and some put off the iron door. At the top of the wine rack, add the curved top line board. In the upper arc on the backdrop of the fake beam more unified. 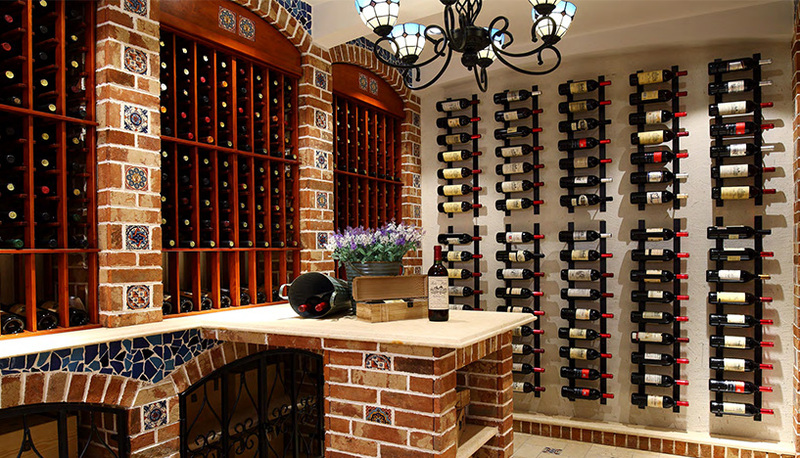 Simple iron double open the door, add a lot of color for the whole cellar. Iron wine rack, can be installed on the wall, can also be installed in the cabinet, you can also increase the height of the space several layers. Opened the "Barcelona" mysterious, legendary wine cellar door, head-on rushing from a vibrant Spanish color, natural and warm. 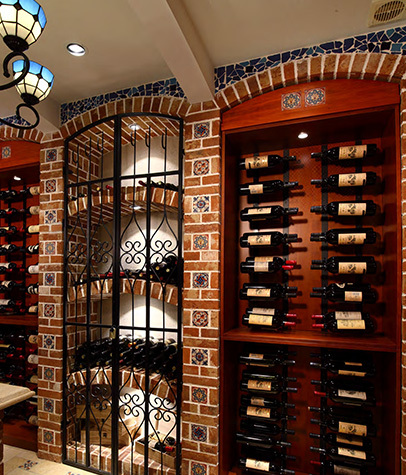 From the uncompromising attention, individual piling up the old red brick wall, mosaic of Spain to the colorful tiles, to see the rough texture of the ancient stone floor, table, with pure hand to build the wrought iron door, iron wine racks.